To repair a tilting chimney, we at DBS recommend stabilizing it with a helical pier system. These foundation piers include a helical blade that allows the piers to be driven (or "screwed") deep into the ground to stronger supporting soils. We Do Tilting Chimney Repair In Minnesota and Wisconsin! At DBS, we specialize in foundation repairs of all kinds -- including those related to tilting, leaning chimneys. Our warrantied solution will quickly and permanently solve your foundation issue. 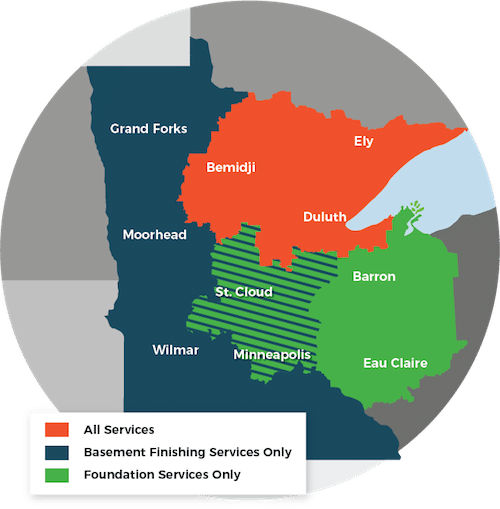 Our service area includes Duluth, Superior, Minneapolis, and nearby areas such as Hermantown, Two Harbors, Cloquet, Esko, Virginia, Ashland, St. Paul, in Minnesota and Wisconsin. Call or e-mail us today to schedule your appointment!